James Milton Braswell married Amanda M. Kerley. 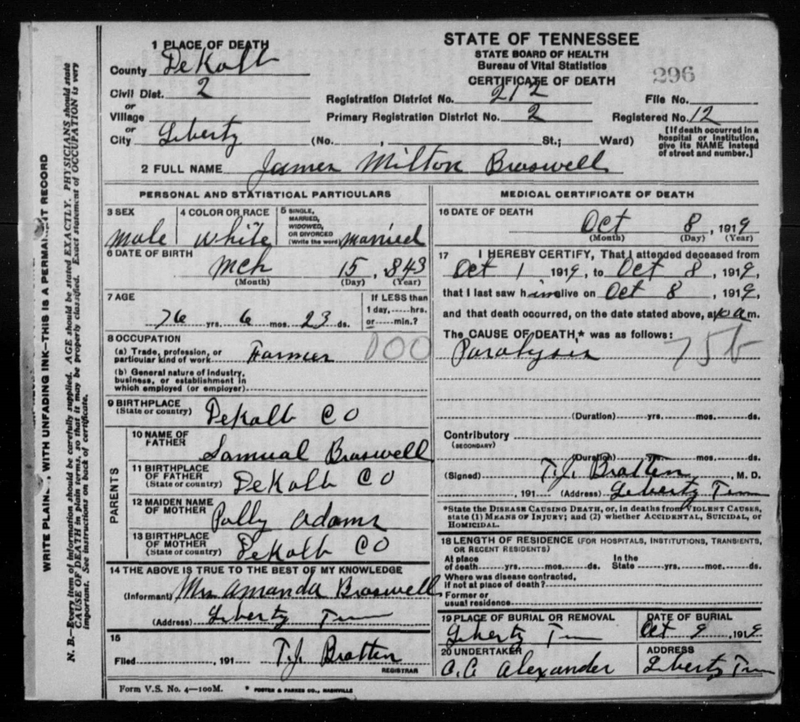 He was the son of Samuel Braswell & Mary W. "Polly" Adams according to this death certificate. 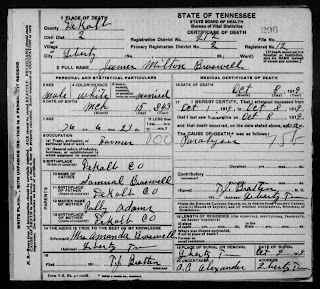 Samuel Braswell was born in DeKalb County, Tennessee, according to this death certificate. Samuel Braswell was born 1811 according to his tombstone. He was the son of Sampson Braswell & Priscilla Williams according to DeKalb County Tennessee CHANCERY MINUTES 1883-1885.